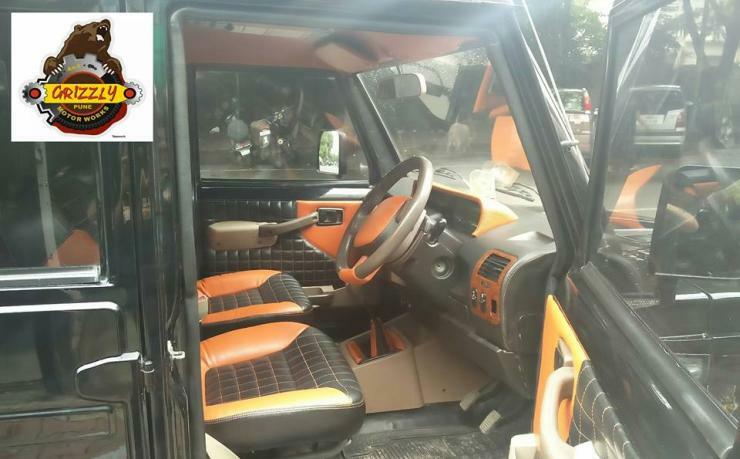 The Mahindra Bolero is India’s favourite MUV, a rugged people mover that has its fans both in cities and villages of the country. There are fair share of custom built Boleros, and some of them look very butch and muscular. 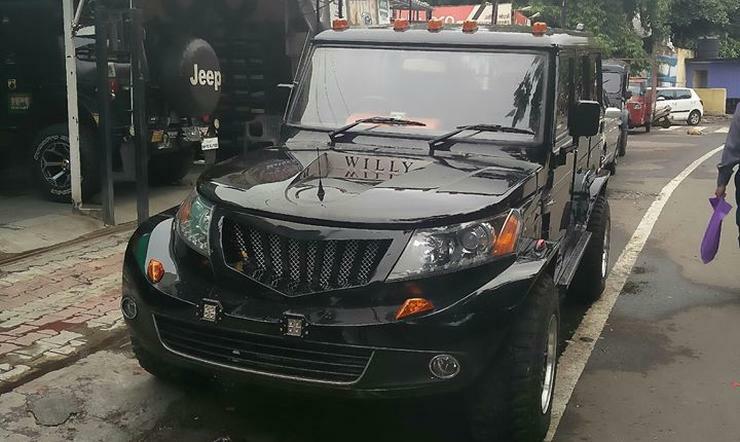 But a wild and wacky Bolero? Well, that’s not very common. 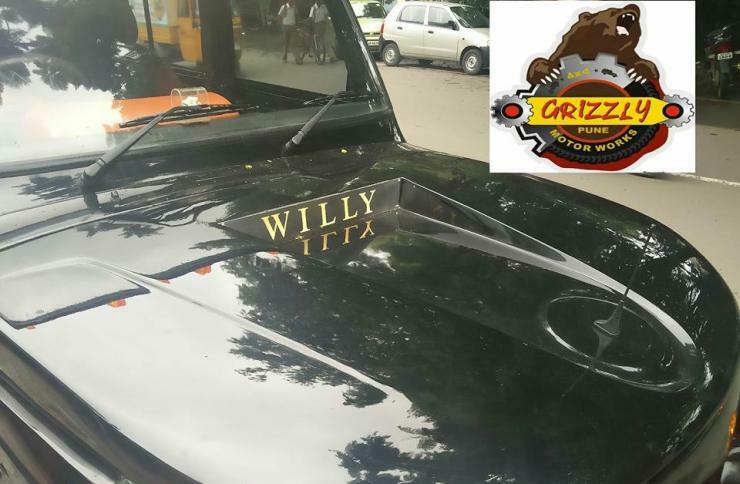 This brings us to India’s wildest and wackiest Bolero, built by Grizzly Customs of Pune. Love it, or hate it, but you just can’t ignore this one! 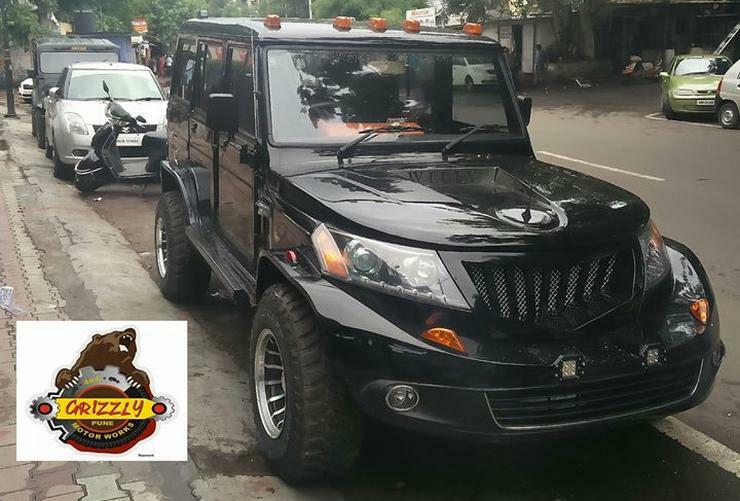 This Bolero looks like a love child of the Civilian Jeep (CJ) and the Mahindra XUV500, one that’ll poke you right in the eye. The list of modifications is long. 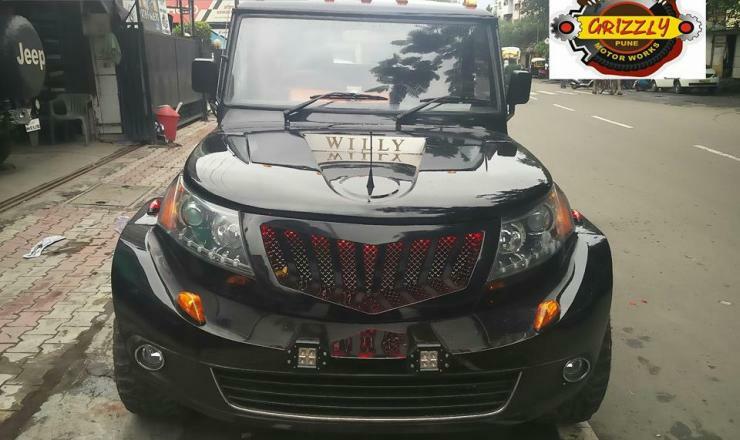 Apart from the XUV500’s front end transplanted onto a stock Bolero, the custom job gets a new, scooped hood with the Willy’s logo prominently displayed (We don’t know why). 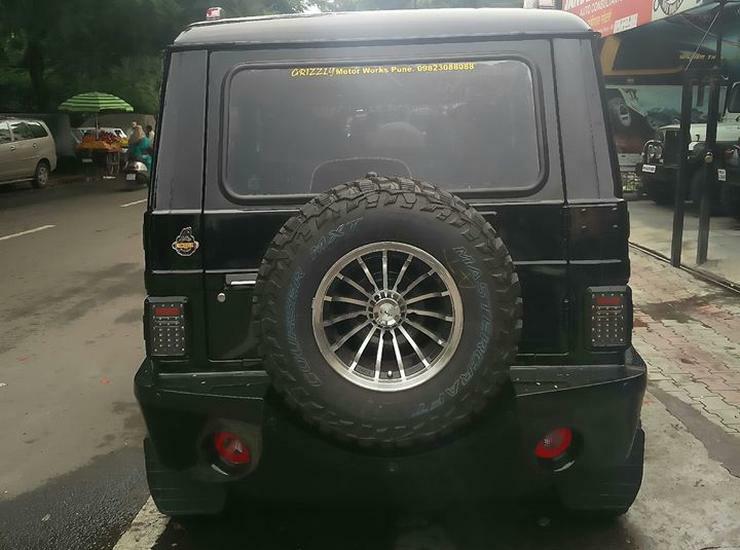 The customized Bolero sits on 31 inch tyres shod on negative offset alloy wheels. Then there are lights, and plenty of them, and all around. From LED DRL strips at the front, roof markers on the top, marker lights on the fenders, Wrangler style tail lamps, rear roof markers and stop lamps on the rear bumpers, this is one custom job that won’t be left wanting in the illumination department. 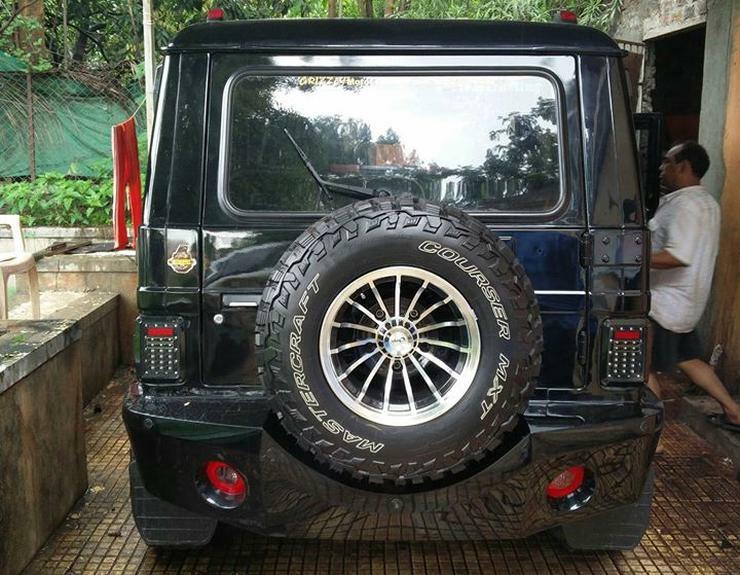 The Bolero also gets a 2 inch body lift to accommodate the taller tyres. 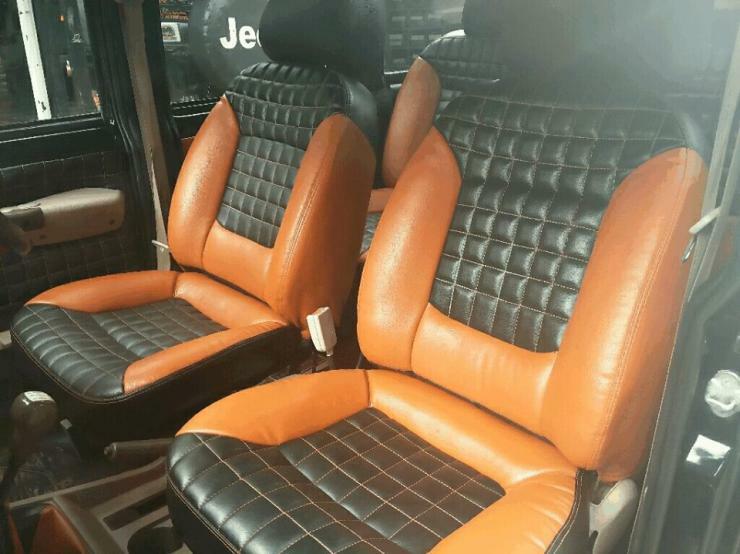 On the inside, two tone upholstery makes the cabin more plusher while the in-car entertainment options are plenty. 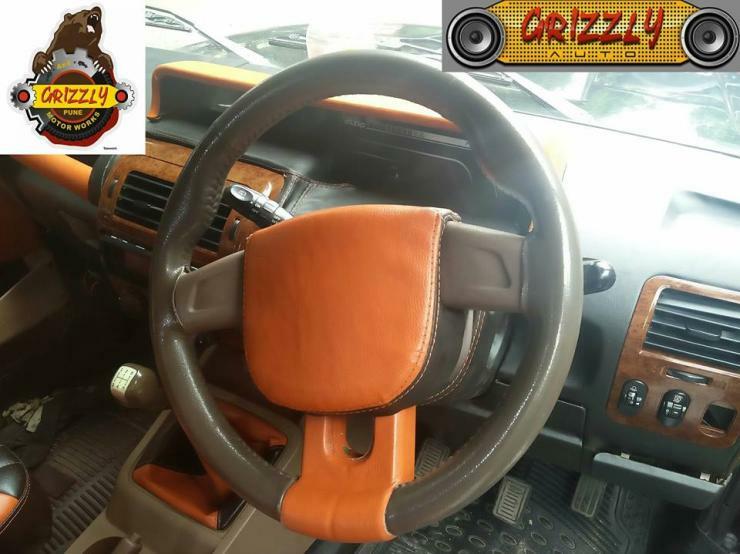 An in-dash DVD player, head rest screens, additional speakers and an amplifier have been fitted. 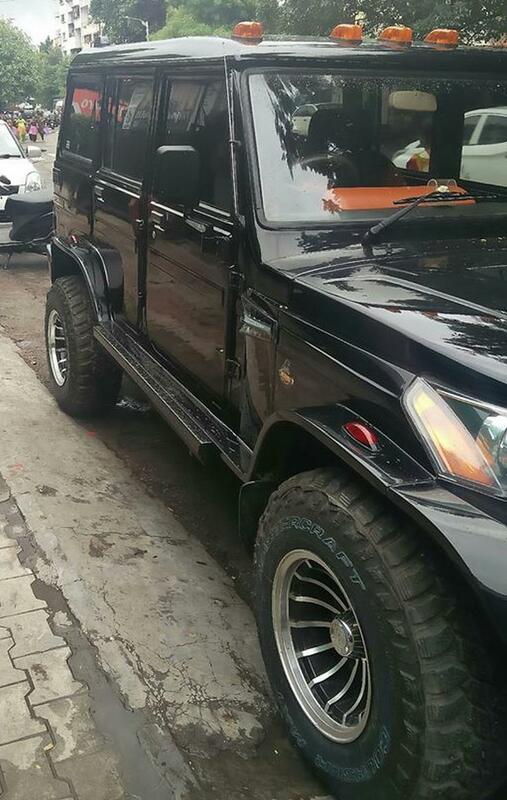 Rear parking sensors and a parking camera are the other modifications on this custom vehicle. 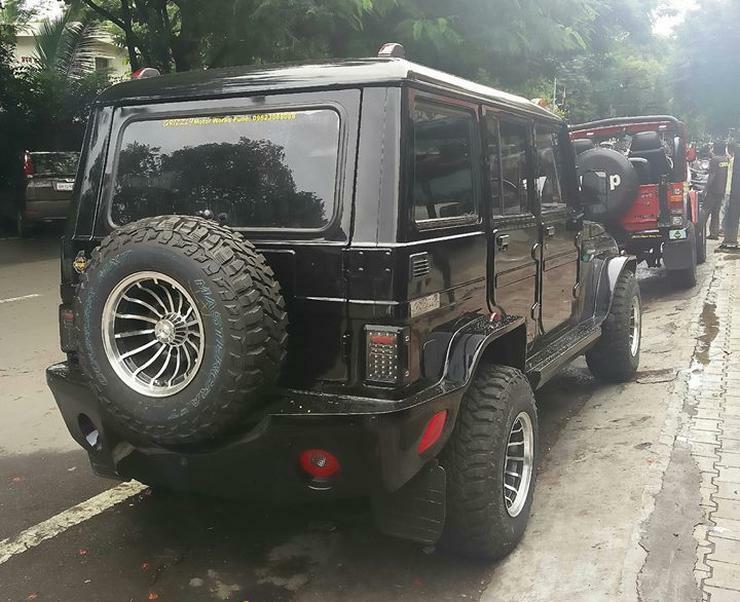 All said and done, this Bolero is a street brawler and not a rock crawler, for it’s not a 4X4.